I’m starting to second guess posting this during February. Goodness, these colours are surreal in contrast to all the shades of grey going on here at home right now! However, I’ve been asked some questions on my travel to the Hawaiian islands lately, and in particular, on my visit to Lana’i. So thanks to digging through these decadent photos, I officially ache to be back there right this second! Oh dear. 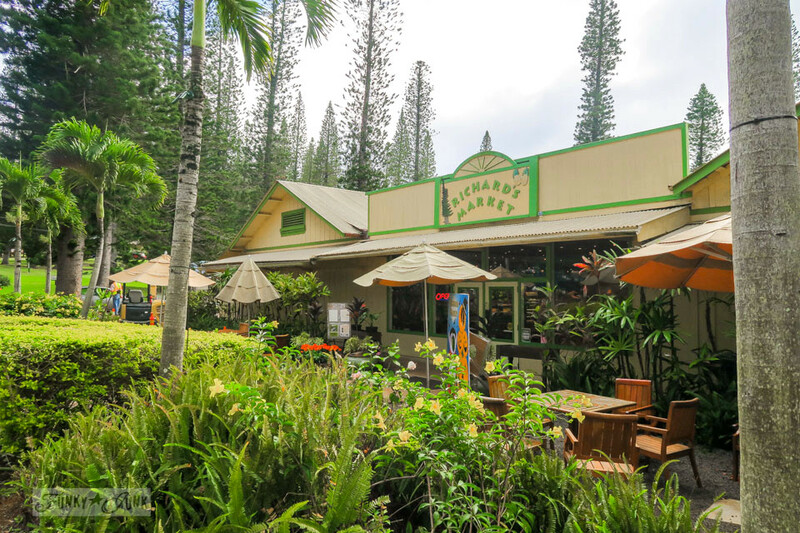 So… let’s go to Lanai! Regular readers will already know, I’ve been to Maui countless times. It’s my happy place. 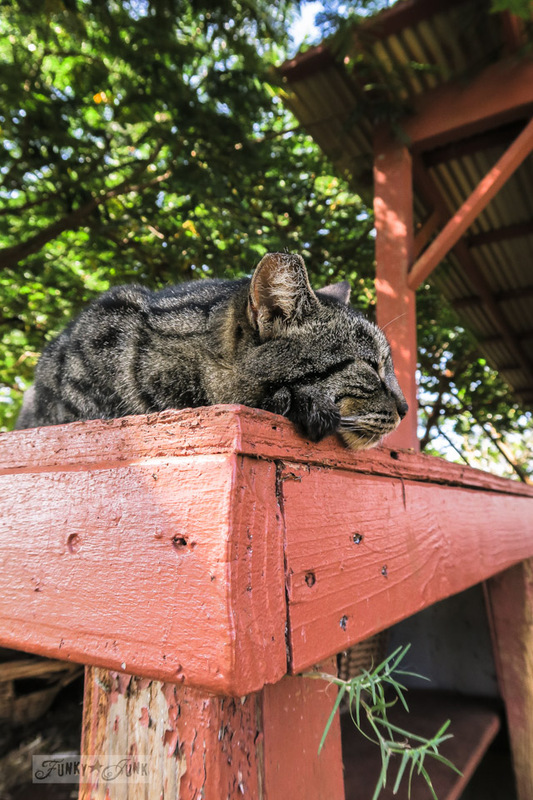 During one of my most recent stays, I heard about an 800 cat sanctuary they have on Lana’i. Goodness. Ever since, I vowed to fit in this island trip the next time I made it to Maui. I had to see this amazingness for myself! 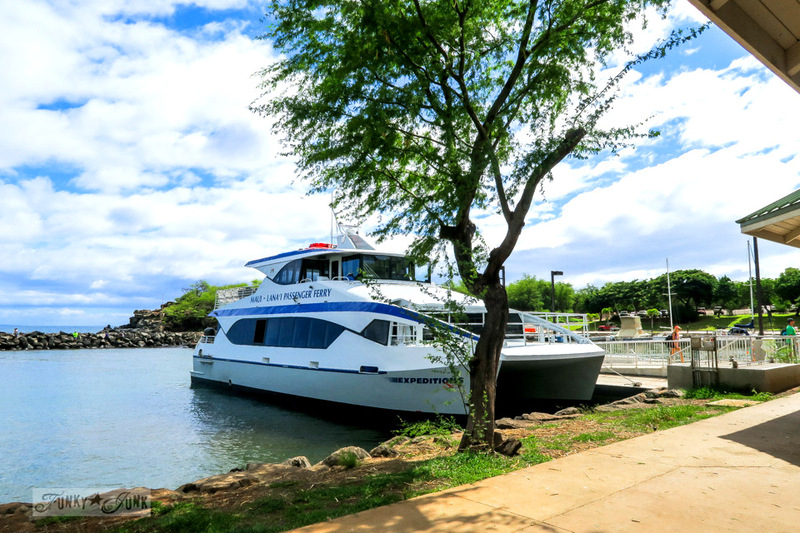 Since Lanai is a quick 45 minute ferry ride from the Lahaina Harbour on Maui, the visit can be done in a day if you go early and plan well. I chose to stay 3 nights to do the trip true justice. For one thing, I know how large the swells are late in the day in Hawaii, and since I have a tendency to get sea sick, I didn’t want to risk an evening ride back. In hindsight, 3 nights proved to be PERFECT. I got to see everything at a restful pace. First off, prebook a ferry ride there and back. I went online, chose my dates and desired times, then paid online. Done! The harbour doesn’t offer parking, so you are left on your own devices. It’s best to call the town OFFICE, not the dock sight about where to park. They will give you the address of the parkade they like to send folks to. The key… choose one with a real attendant, not a pay machine so you know your vehicle will have an extra eyes on it, and you have more control over how long you wish to stay. I made the mistake of asking the dock booth where to park and they sent me to a machine parkade. I would have had to purchase 3 overlapping tickets as they didn’t allow for a 3 day pass. I tried to call the number on the machine but there was no answer. So I called the Expeditions main office for advice and they told me I was at the wrong parkade. Once I found the attendant one, it was a breeze! Just bring cash. 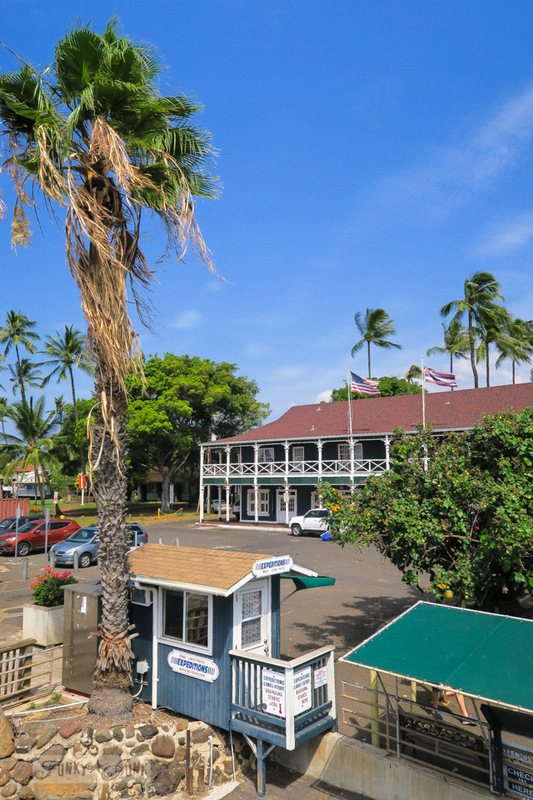 I also suggest to bring your luggage to the office prior if you wish to shop or eat in Lahaina before your trip. Inquire about their lunch / dinner / closing hours prior. The ride over was my biggest worry. It ended up being wavy, but not terrible. Thank goodness! I booked an AM trip for that very reason. I got a hot ferry riding tip from another passenger though. 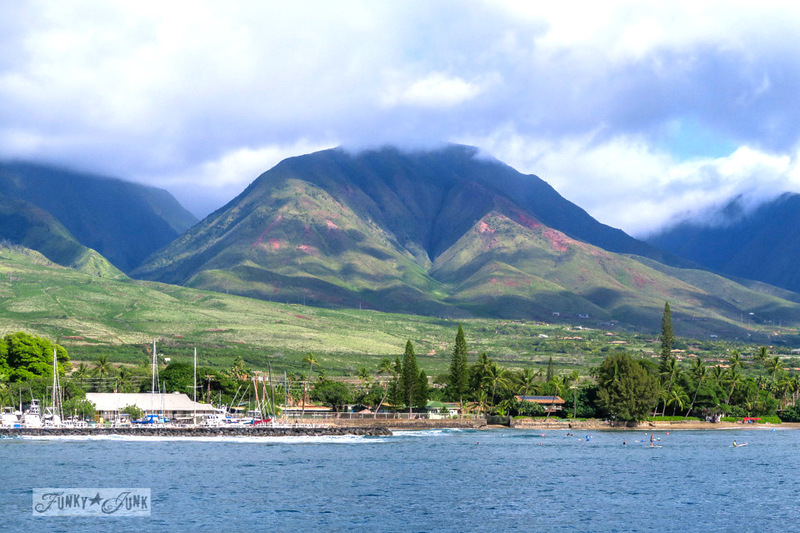 She was taking the ferry to Lanai just to enjoy the Maui mountain view, only to go right back again! 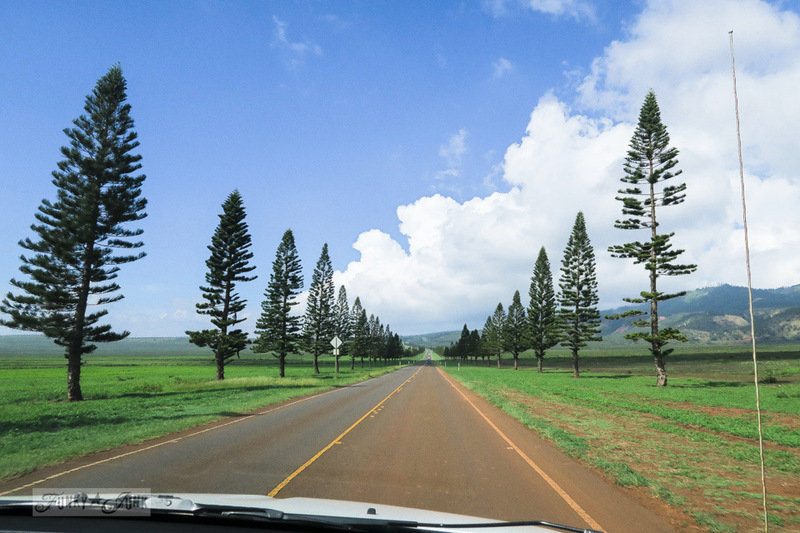 And I mean… she knows her stuff because those Maui mountains were stunning! She beats the waves by standing outside at the back of the boat, rising and falling against the rocking of the waves, ensuring she’s watching the horizon. I tried it and barely felt the waves at all. So relieved! Such a lovely harbour. There was shopping and food places nearby as well. This is the ferry I was on. Once we landed, my ride from the car rental place was waiting for me. This was gonna be so fun! 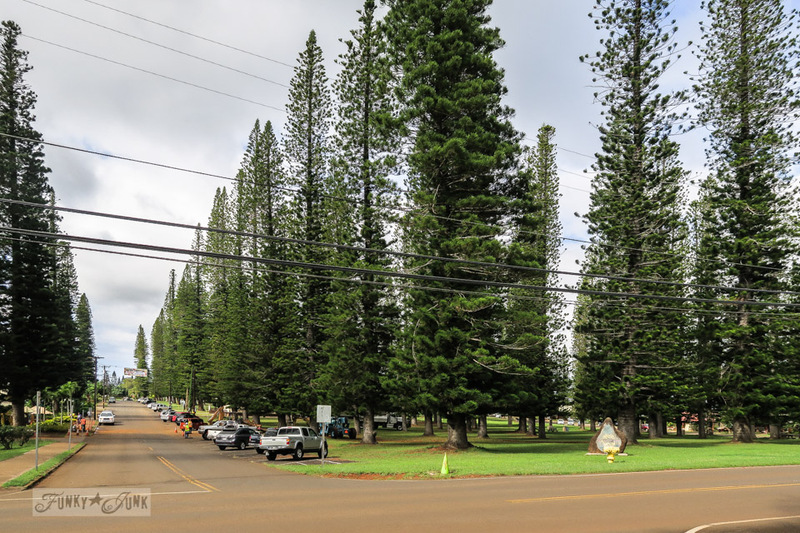 When you first drive into Lana’i, you are greeted with rows upon rows of these fabulous tall, skinny pine trees! What a fabulous entrance! There are very few palm trees on this island as it’s considered desert conditions! So interesting. 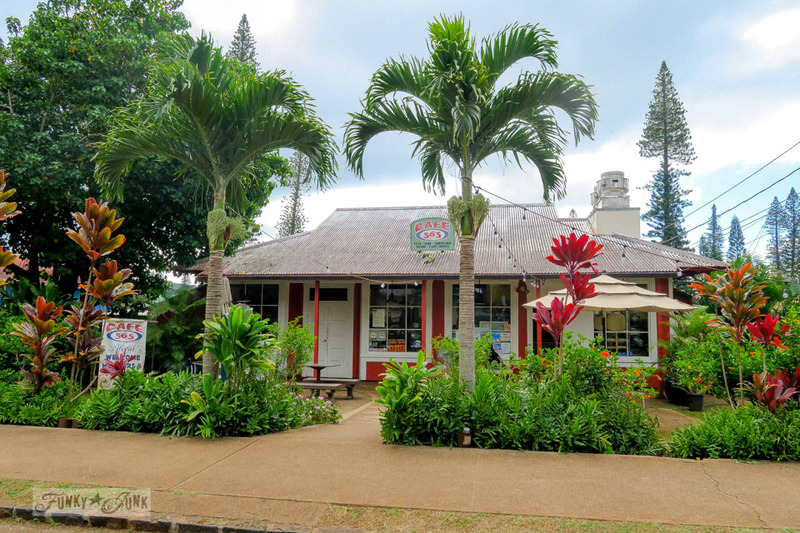 Lana’i City is located in the middle of Lana’i inland which would prove to be about a 20 minute drive. 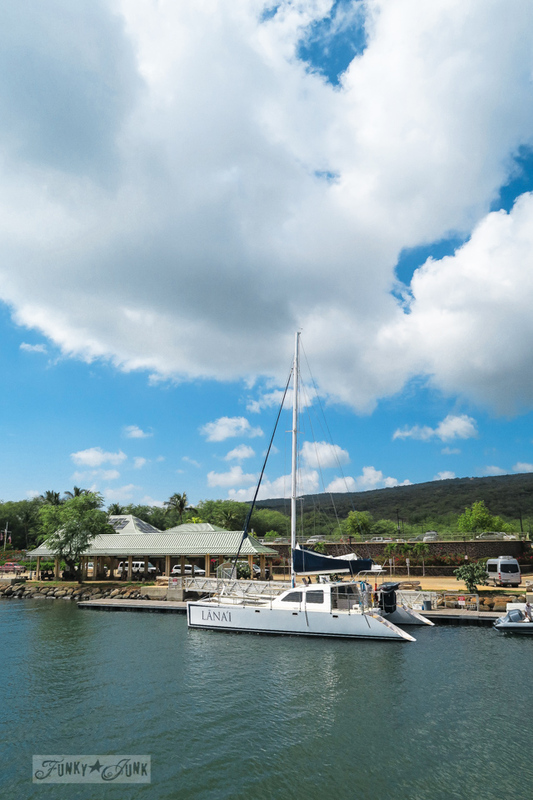 Once you arrive at the Lanai harbour, you’ll need to decide how to get around. 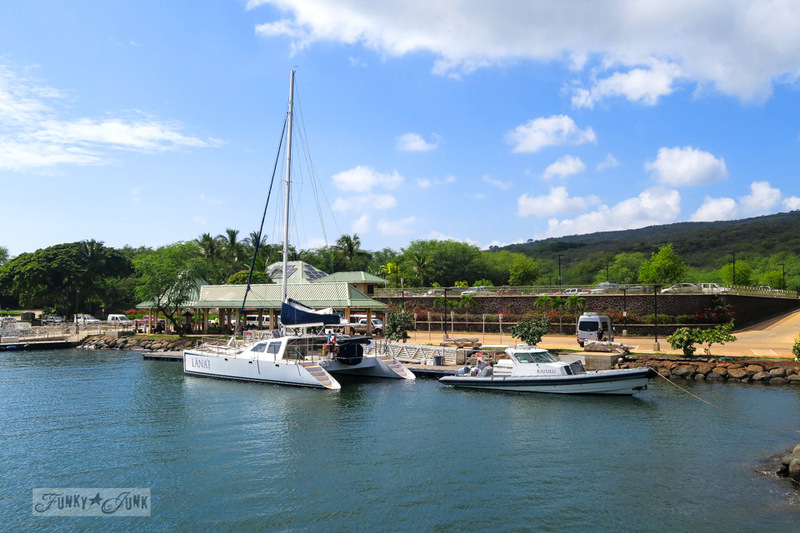 You can either rent a jeep or take the really well done shuttle service that provides pickups at each ferry arrival. Since I planned to rent a jeep, they picked me up from the harbour. If you chose the shuttle, you could just hop on one when you arrived. However, since they do fill up at times, it’s best to reserve your seat ahead of time. Dollar Jeep Rental picked me up at the harbour and took me right to their office. I even got to choose a bright red one! 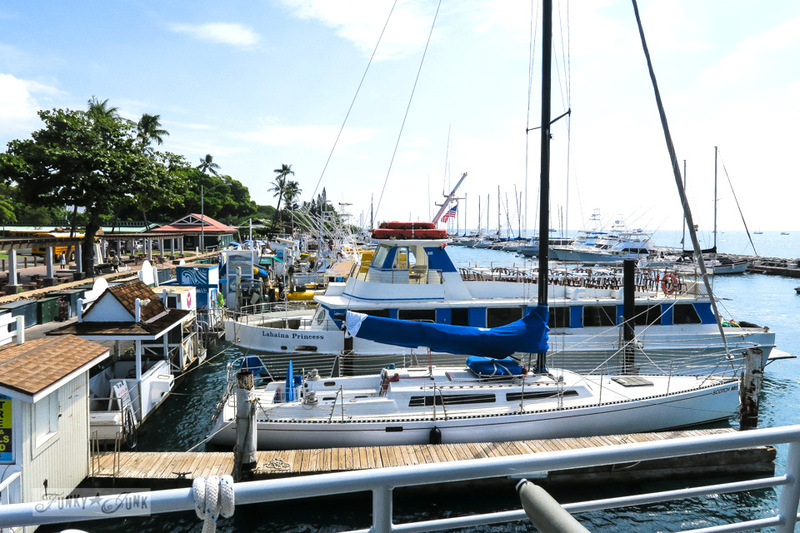 I had also planned to purchase their insurance, as I already had a contract on my Maui vehicle, since my own insurance wouldn’t give me two contracts at the same time. 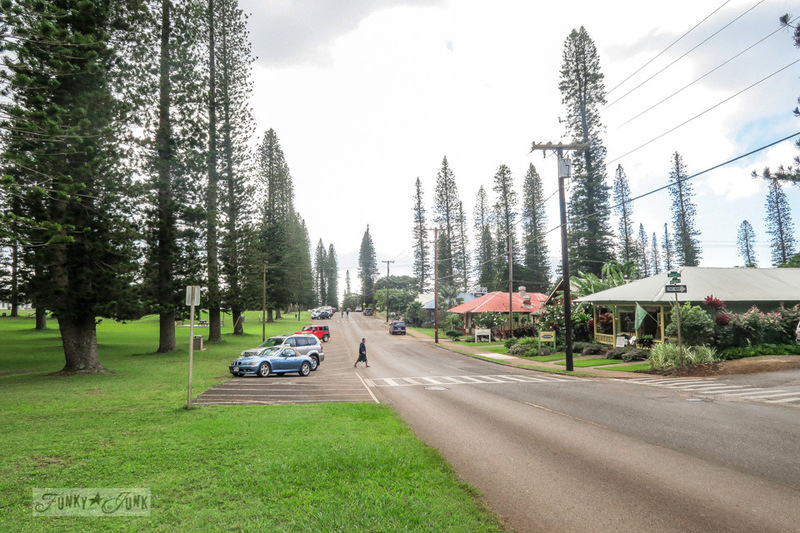 Unfortunately, you can NOT get vehicle insurance on Lana’i. Period. You must come with your own, or give them your credit card number. I felt deflated. I was not comfortable renting a vehicle with no insurance, so I had to make the tough decision to learn their shuttle system instead. But not to worry… there is a legal way to see the sights. See below. Since I didn’t end up getting a jeep, Dollar Jeep was gracious enough to drive me to my hotel. Bless them! And that’s where I learned all about the shuttle service. The shuttle costs 10 dollars one way, no matter where you choose to go. (exceptions are the far off coastal tours) So if you wish to go from the harbour to the cat sanitary, it’s $10. The return trip is another $10. I ended up using them a lot. They were super quick and I found it to be quite price efficient. Due to not having a jeep, I rented one of their $75 tours that took in the main off-road sights. This ended up being the best plan EVER. I would not have wanted to drive those roads myself! Even they got stuck. Get the shuttle for the tours, and for true convenience, the jeep for your pit stops. Glad to help. You’ll see those infamous roads in Part 2. I was immediately drawn to the way the town was laid out. So unique! The centre of the island hosts a square pine tree filled park. Then the town is laid out around it, with the residential areas beyond that. Above, the park is to the right, and the town starts on the left. And here is the right side of town. And yes, it was just that quiet during my entire stay. Oh how I LOVED this little island already! But first, it was time to get dropped off at my hotel. 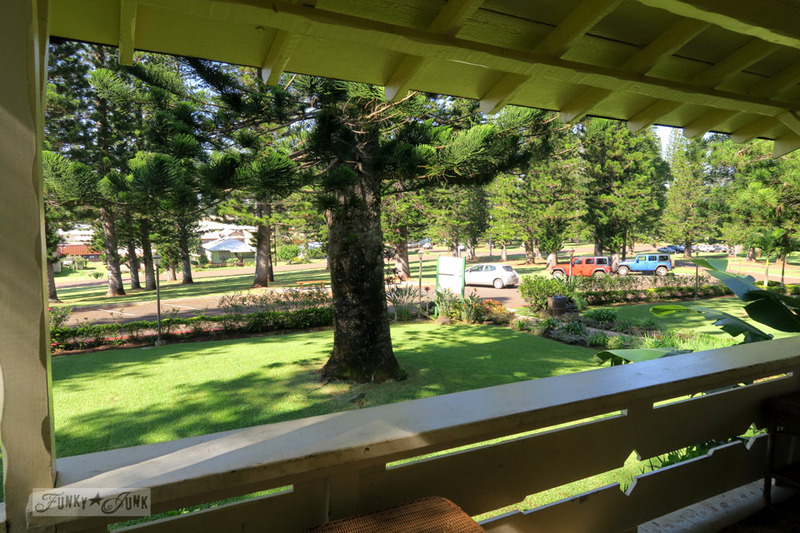 I stayed at Hotel Lana’i, which was right in front of the park. The surroundings were stunning! 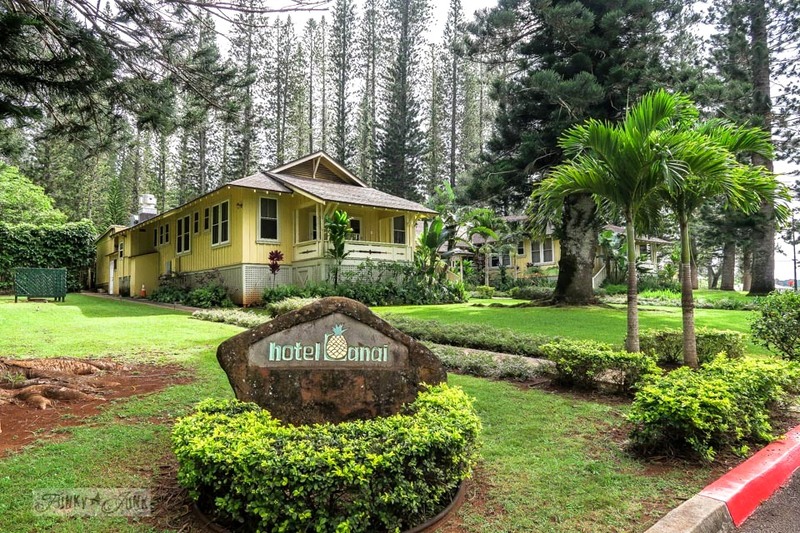 This place also was one of the most conservatively priced places on Lanai, chiming in at approx $230ish a night. 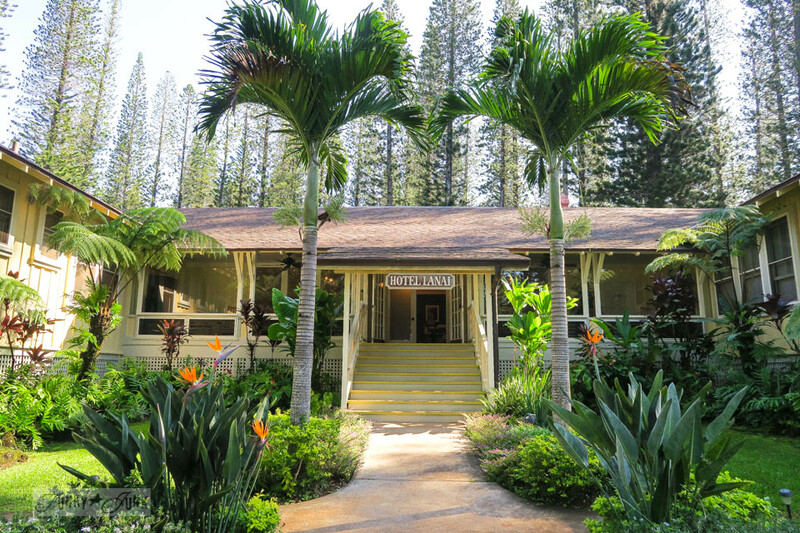 I LOVED this hotel for the price, location, plantation experience, plus it has an in-house restaurant and incredible breakfast included. Plus, it was just so historic-vintage-pretty! 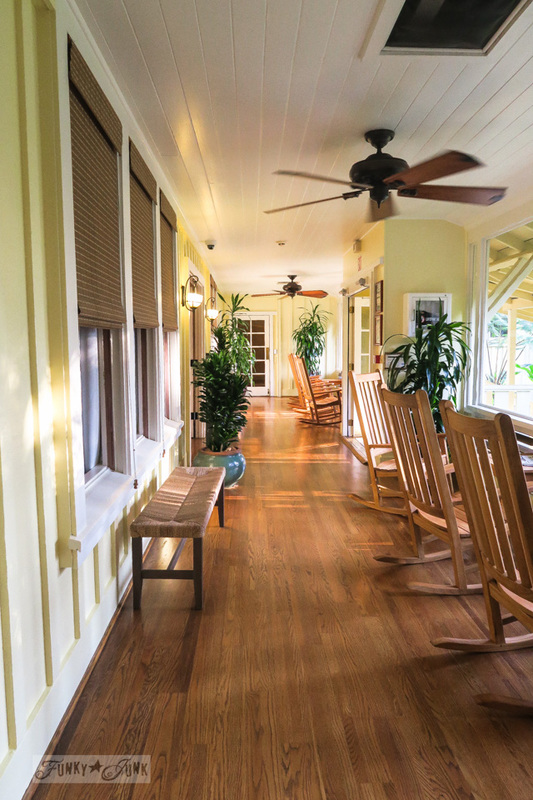 The ceilings and walls were true board and batten white, wood floors, braided curtains, tall ceilings, authentic Hawaiian quilts, LOVELY. I’m just sorry the interior pictures didn’t turn out. 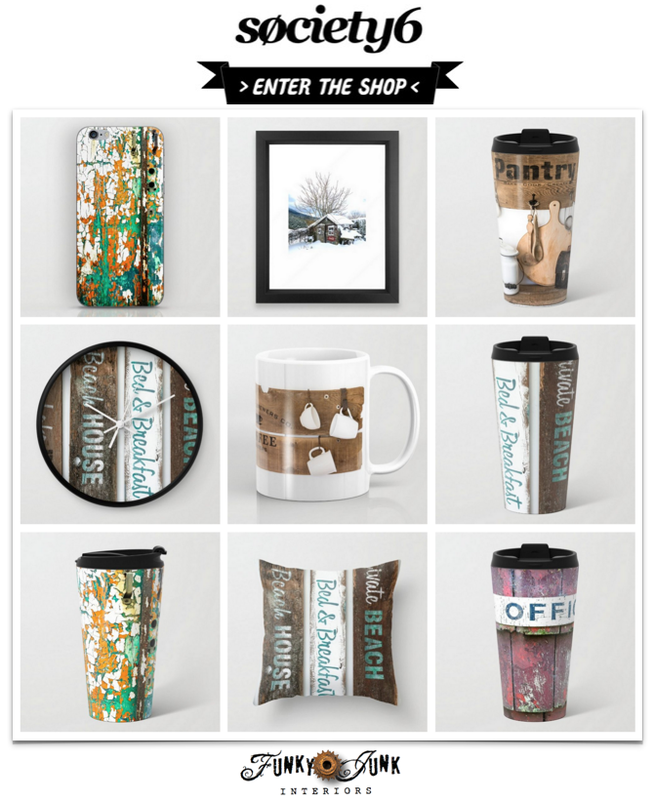 Be sure to peek at the website HERE to see them. The main picture on the homepage was my room! My first night was in a non-lanai room. 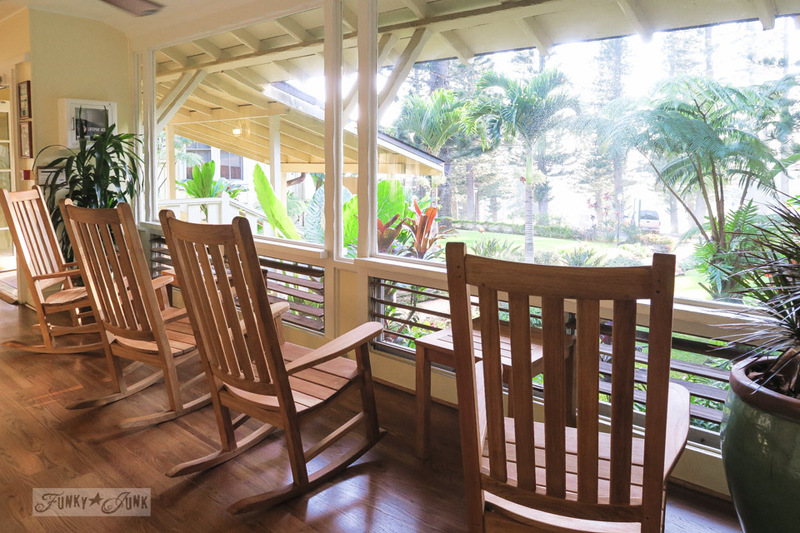 So I utilized these lovely rockers in front of the large picture windows. 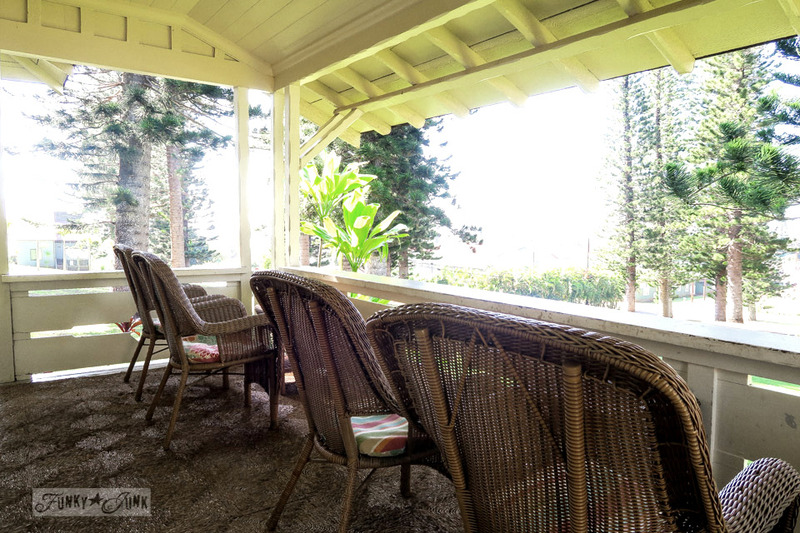 I then changed my room to a lanai room the next night as I really missed my own outdoor space. Now we’re talkin’! I brought my breakfast out here every morning. And ended each evening out here too. I loved this room and place so much. My room is the right side roof line. I mean, what a setting, right? It was like staying in a tropical Canada with those towering pine trees. While the rooms are true hotel style with just a fridge, the grocery store was steps away making loading up your fridge pretty effortless. Plus the hotel did have a fabulous restaurant. Not to mention, the breakfast that came with! 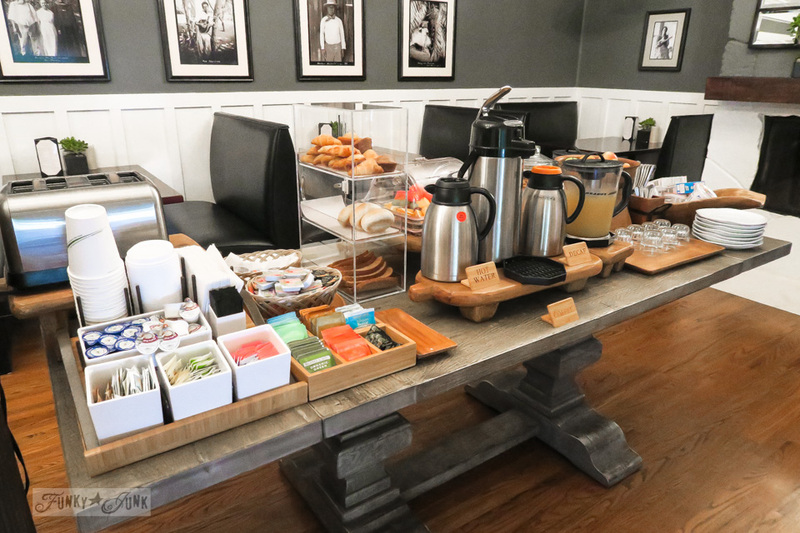 Cereal, fresh fruit, muffins, granola, yogurt, hard boiled eggs… so good! I felt so privileged to have this laid out each AM! After I was dropped off at the hotel, I made my way around the quaint town. This is Richard’s Market which was steps away from my hotel. They had everything you needed food wise. So I stocked up on a few things for the fridge, such as cheese and crackers and fresh fruit, and of course, treats for the cat sanctuary I wanted to go to the next day. I could not wait! I honestly didn’t know where to dart next. So I just wandered. So many lovely shops, cafes, little pubs, coffee shops, post office, drug store, all plantation style. This island was certainly gorgeous in every way possible! 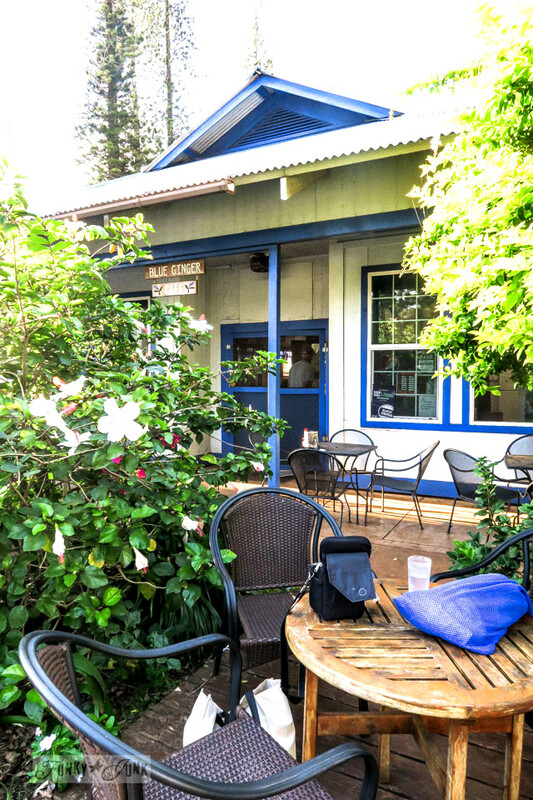 The Blue Ginger Cafe was one of the highest recommended places on Lanai, and when I finally ate there the next day, it did not disappoint. I ordered their burger and the homemade bun absolutely melted in my mouth! I even got to sit outside and overlook the park. 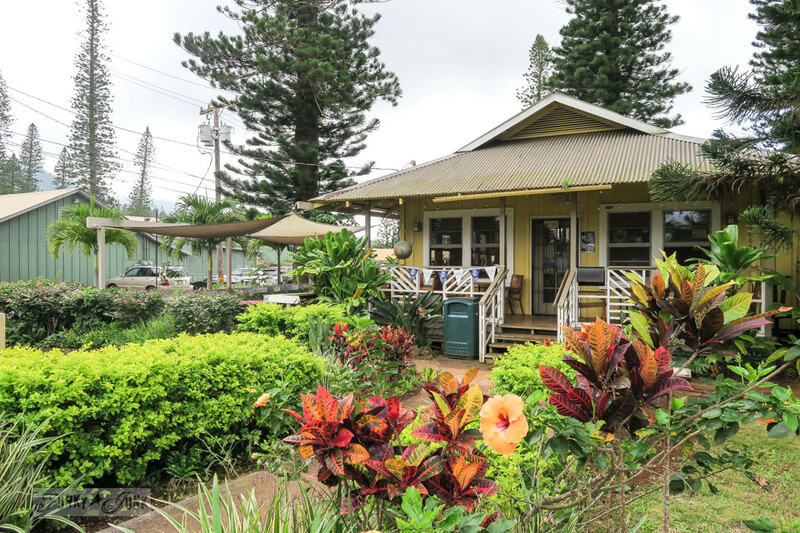 But what I did end up doing that night and every night I stayed on Lanai even surprised me! I knew about the local theatre but I had no idea how personal it would ultimately get. 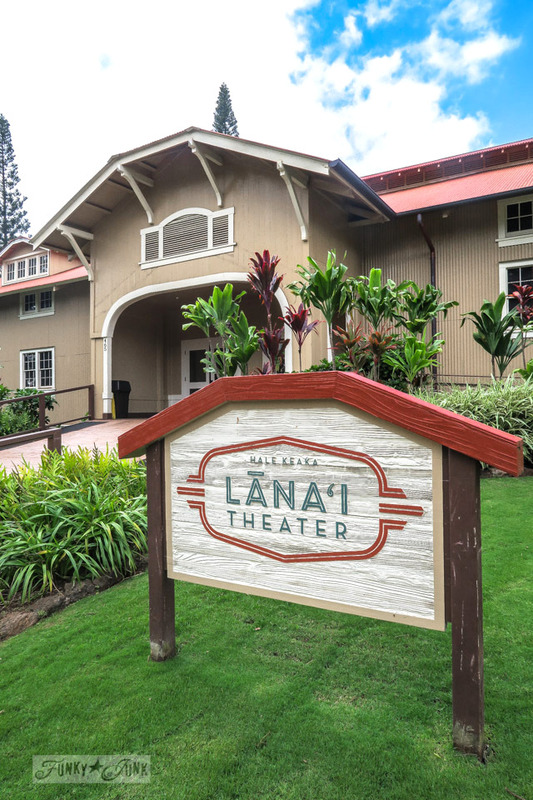 The Lana’i Theatre became my main stop each evening I was in Lanai. There was a really good movie playing each night I was there, so I went all 3 evenings! I saw Thor the first night. 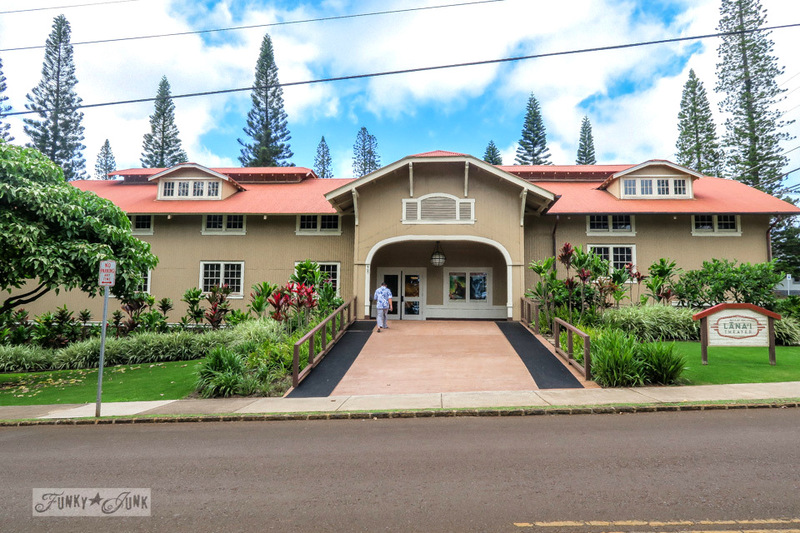 This place… it’s a heritage movie theatre that’s been completely revamped to all state of the art equipment, boasting to be one of the best on the Hawaiian islands. 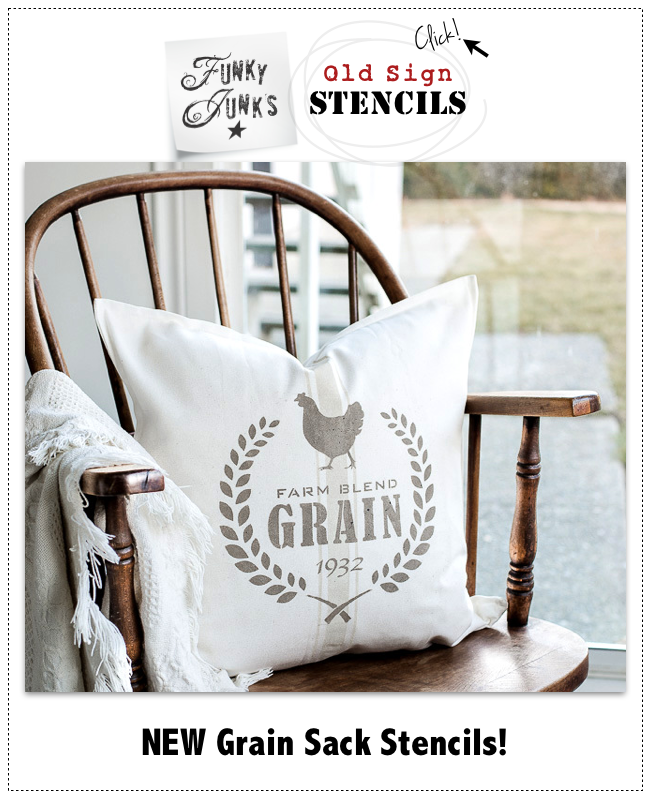 Right down to those exquisite reclaimed wood walls done in a herringbone style. So high end. A little on the chilly side though, so I was glad I brought a cozy wrap. It was a wonderful and safe way to spend each evening since I was on my own. And since my room didn’t have a TV. 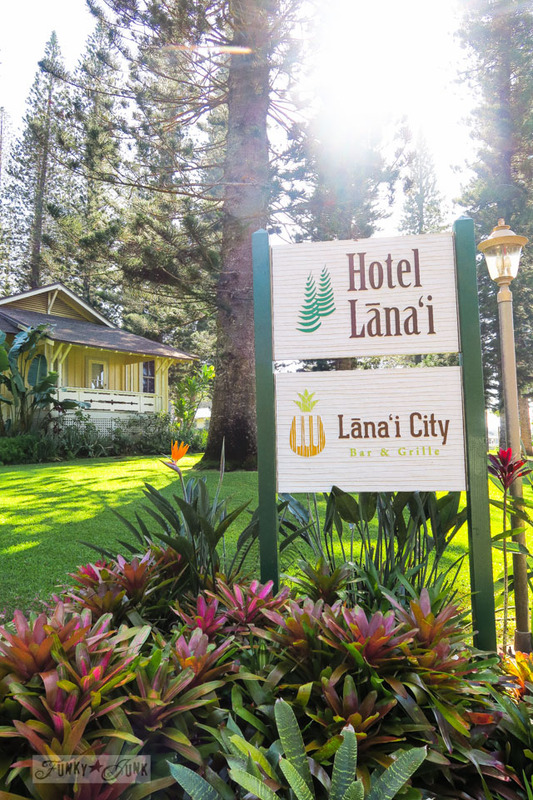 When I first looked into Hotel Lanai, I was a little sad to see it so far away from the beach and with no pool on board. 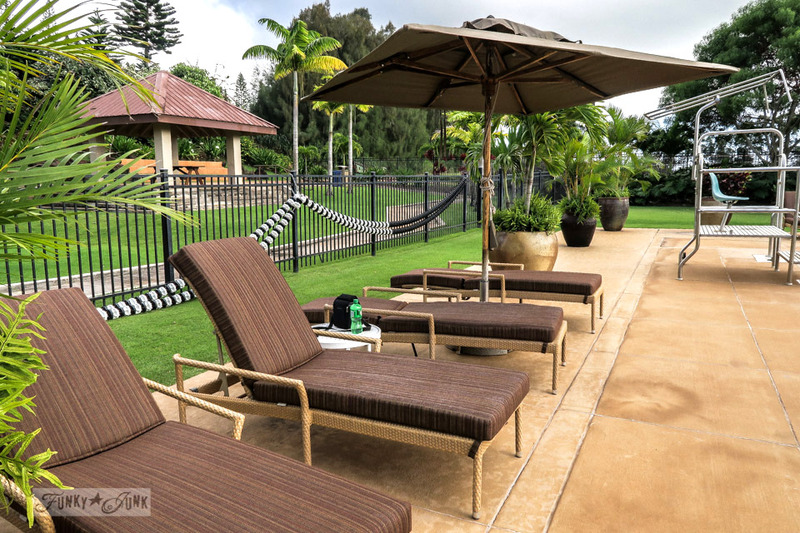 I was so use to my pool and beach on Maui, so what would I do? 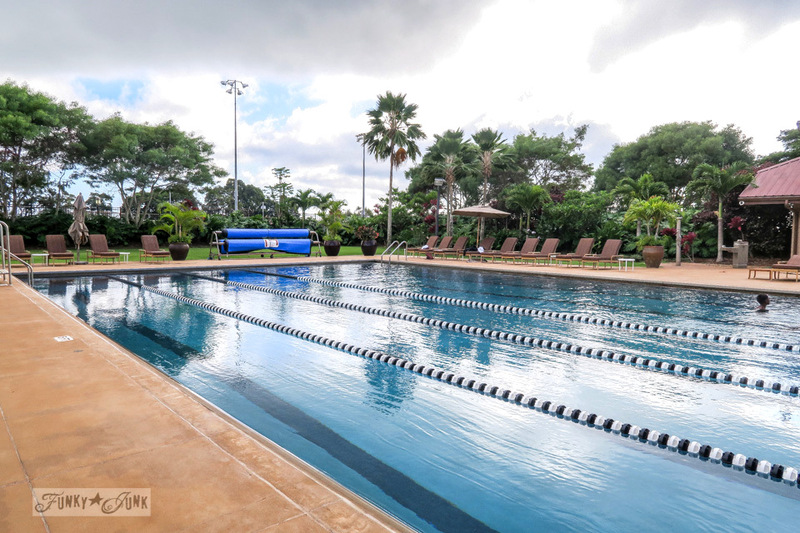 However, after getting to Lanai, I learned about the brand new Lana’i community pool you can use for free! It was absolutely stunning and immediately wiped my lack of water blues away. I was in that lovely heated pool on a cooler day so as you can see, I had the place to myself. What a cool first day! Right before I turned in for the night, I ensured my cat treats were packed along with my cooler of food and towel, because I planned to spend the ENTIRE next day at the cat sanctuary! Crazy? Oh yes, indeed. However that is why this crazy cat lady came to Lanai in the first place, so I planned to do it right. And that very big, meow filled amazing day is next! 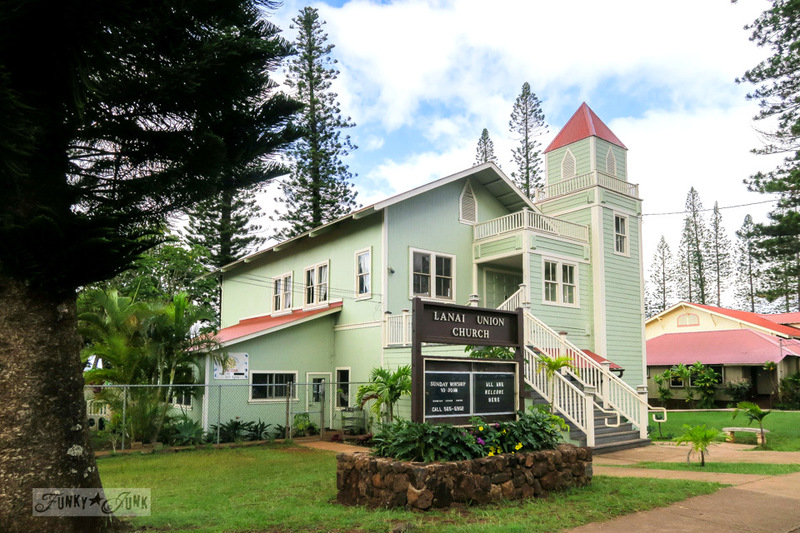 Have you been to Lanai? What was your fav thing about it? What a fantastic post! Thanks so much for sharing your experience and details of your trip. 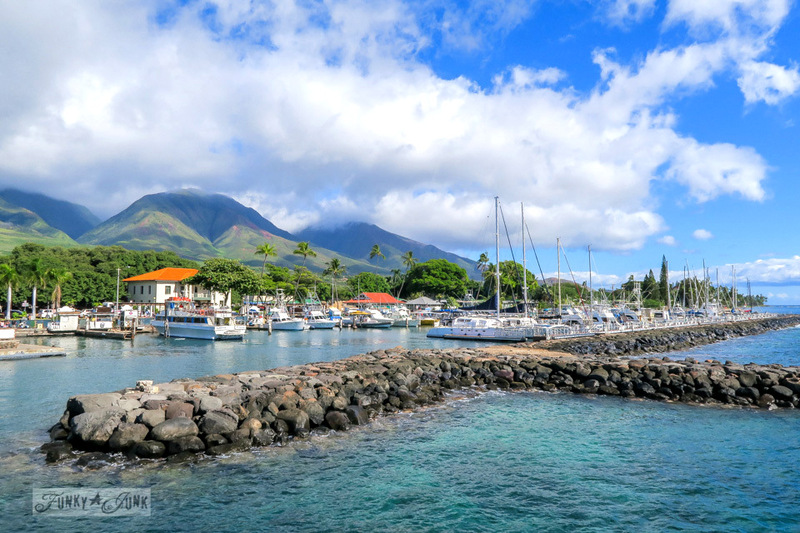 Your photos show what an incredible place L’anai is. Hope we get more on the cat sanctuary! I sure will, Nancy! 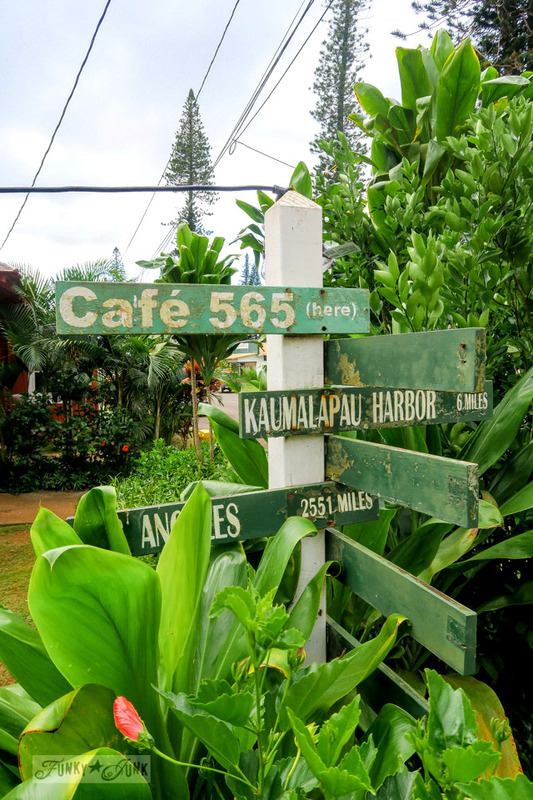 I’m going to also try and get together a proper travel section on the blog so you can find my fav Maui hot spots easier too! I could never afford a trip like this so it is nice to be able to see it through your posts. I enjoy reading them and viewing the photos. Aw Rose… I said the same thing not that long ago… and just found affordable ways to make it there and save up for the experience. Travel is not cheap however it is so worthwhile. I sincerely hope the same for you! 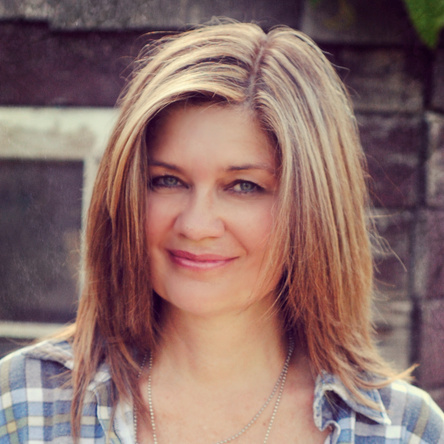 Glad you enjoy the posts… I go into detail for those that plan trips around the tips! I’m sad we missed the experience. At least we can visit via your trip. I’m loving it. Pinning to my travel board. Need to look at your Maui posts too. We won a trip to Honolulu back in the 70’s. We have always said we were going back but not to Honolulu. This looks so peaceful and beautiful. What a fun article. We are going to Maui in May (hubbys work) and will have at least one day that we can do something on our own. 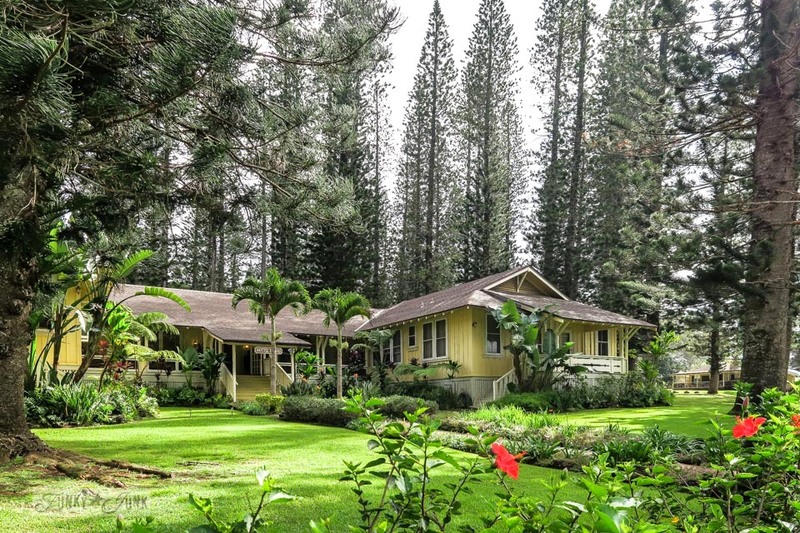 We’re staying in Kapalua so that’s not far from Lahaina. As cat lovers, this appeals to me. Thanks for sharing your trip.